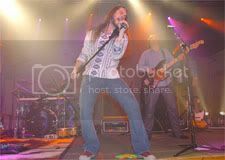 This information is from a Google alert: "Bo Bice will be the latest artist to get the WIXX (101.1 FM) Studio 101 treatment at the Meyer Theatre. He'll play a benefit concert for the Family Violence Center at 6 p.m. March 15. The full capacity of the theater will be made available. Tickets are on sale for $5 through Oneida Casino Ticket Star." This appearance date also on a Google alert and posted on Bonafide Bice and the Bicesquad: "Nashville’s 107.5 The River, is now advertising “Spring Break and Shake” with Bo Bice and Saving Jane." No date is provided on the station's site, but was once listed as March 24th, but have been reading it to be March 25th now (forums)...who know for sure? Granted these are small venues, but concerts upcoming, just the same. I'm not complaining about the Fan Club fees, my concern is about a much bigger matter that is beginning to negatively impact Bo Bice... 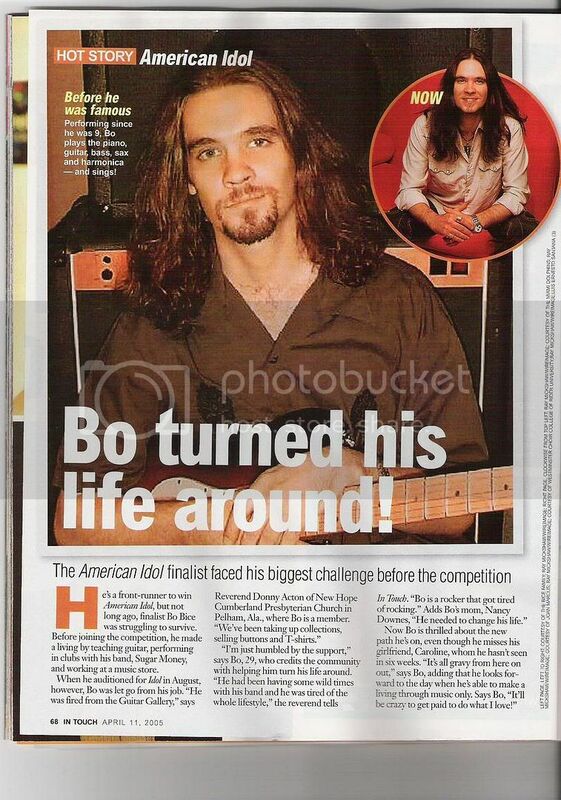 The glaring lack of consistency in promoting and keeping any and all Bo Bice news current. Bo's recent concert in Washington DC with boy-band Click 5, benefiting Breast Cancer, was never mentioned. (Google alert) Discussion about this concert has been limited to forum members, no "official" photographs posted. The only photos have been by concert attendees and members of fan forums. DC Concert pics from fan. We thank "Salisbury Fan" for these. 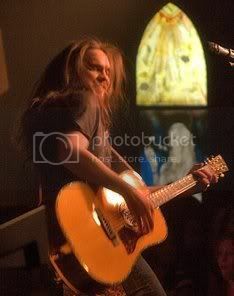 Reading through the various site forums, BFB, Bicesquad and bobice.com, there is an overriding concern for Bo Bice; where are Bice's publicity folks? shouldn't he have had a photographer on hand to take professional quality photos in D.C. to post on bobice.com and elsewhere to show the man in concert, show the crowd reaction, generate excitement for future appearances? Instead, the only review widely distributed is by a reporter obviously 'macking' for The Click 5. This reporter, article already covered in my blog had nothing positive to pen regarding Bice. The Click 5 had their image covered and properly reported on; Bice, zippo. 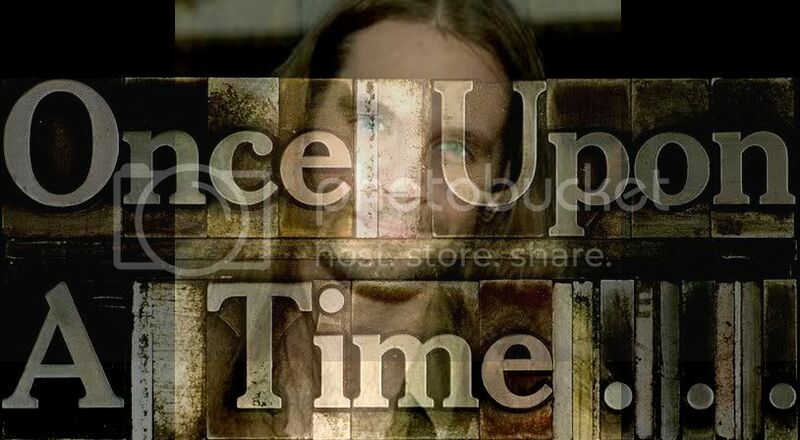 To maintain interest and to feel "involved", fans who cannot tramp across country to see Bice in person would benefit greatly from adequate coverage of the shows. This is where fans thought becoming a "Bo's Peeps" would be an asset. Relying on outside fan sites' forums, such as bobice.com and the Bicesquad, Bonafide Bice, etc... is insufficient coverage for a Rising Star. Bice needs a photographer in tow, a designated writer to provide regular reviews on all his appearances. These latest small venue appearances have had ties in with chartible organizations and issues. Fabulous opportunity to continue to foster how kind his heart is; to continue to promote that positive aura he exudes while performing and in just meeting folks. 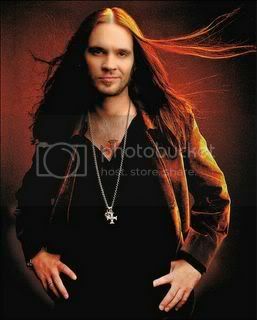 I just have to inquire, adapting a thread topic on bobice.com, "Where in the World is (the) Bo Bice (coverage)?"